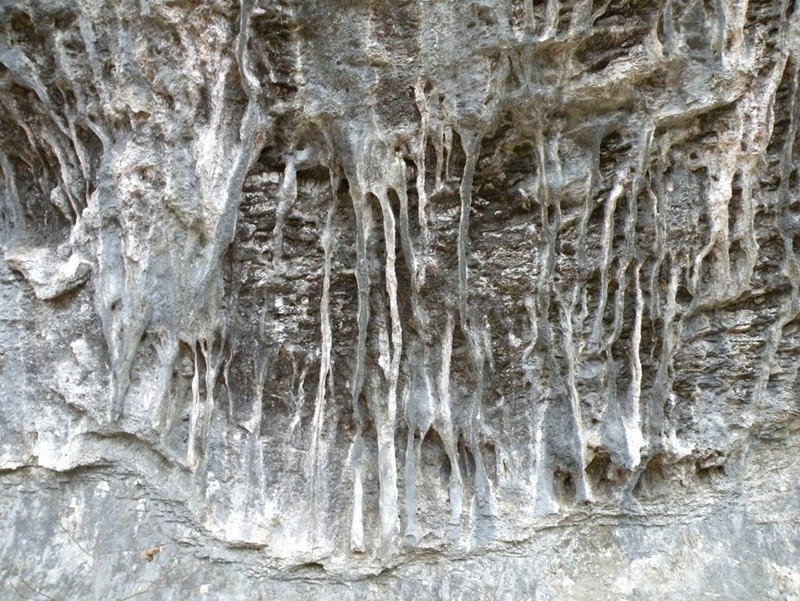 Salt casts are sedimentary structures that indicate a very saline environment of deposition. This example was collected from the DeQueen Limestone in Howard County, Arkansas (peppermint for scale). About 146 million years ago, much of Arkansas south of the Ouachita Mountains was under near-shore marine conditions. The cubes that stand in relief on the underside of this rock bed were once crystals of the mineral Halite – or common table salt. These crystals grew in the mud of a tidal flat that was periodically flooded with very salty sea water. The salt crystals were later dissolved, leaving cube-shaped molds that filled with mud, preserving the casts of the Halite crystals. This entry was posted in #geoblog, GeoPic of the Week, Sedimentary Features and tagged Arkansas, gulf coastal plain, halite crystals, near-shore marine, Salt casts on December 23, 2015 by argeology. 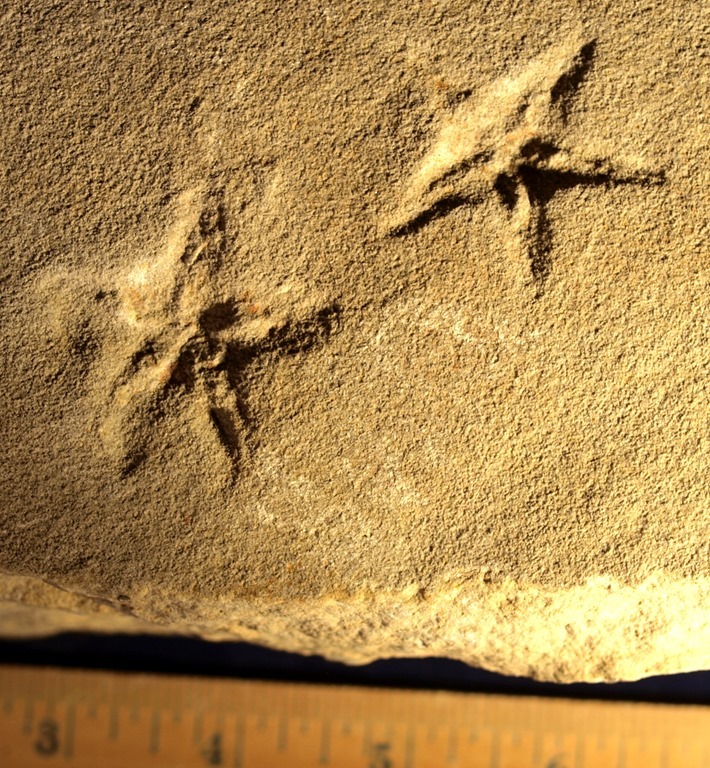 Also known as Asteriacites (just call them starfish traces), these impressions were left by marine invertebrate animals on the sandy floor of a sea that covered northern Arkansas during the late Mississippian period: about 320 million years ago. These trace fossils were collected from the Batesville Formation, a mostly sandstone unit that outcrops in a thin east-west oriented belt across the Ozark Plateaus. The sample above was found near the town of Leslie, Arkansas in Searcy County. I can’t reveal the exact location, as that’s the only place I know of starfish resting traces in Arkansas. These largely predatory animals, which move using a number of small arms on their points and have a mouth at the center of their bodies, are rarely preserved in the rock record. 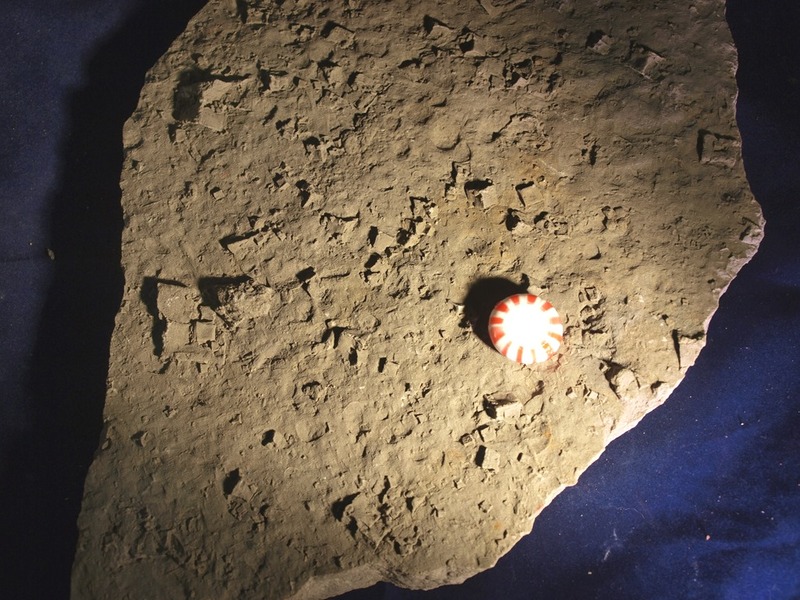 This entry was posted in #geoblog, GeoPic of the Week and tagged Arkansas, Asteriacites, batesville formation, leslie arkansas, mississippian period, searcy county, starfish, starfish fossil on December 17, 2015 by argeology. Here’s a picture of a recent landslide that took out a gravel road south of Greers Ferry Lake in north central Arkansas. Landslides are one of the natural phenomenon that earth scientists refer to as geohazards. It’s impossible to predict where and when a landslide will occur, but there are known conditions that make certain landscapes more prone to sliding. In Arkansas, conditions that can lead to landslides include steep slopes, and poorly cohesive soil or bedrock – such as shale or alluvium. Land where vegetation has been cleared is also more likely to fail. Many landslides occur after periods of prolonged heavy rainfall, though that’s a factor that can’t be avoided. One of the best ways to determine if an area is prone to landslides is to look for evidence of past slides; If slopes have failed in the past, it’s likely they will fail again. If you are developing property or are looking at property to purchase, you should consider whether it is in a landslide prone area. You can always contact a friendly geologist at the Arkansas Geological Survey and ask them their opinion. 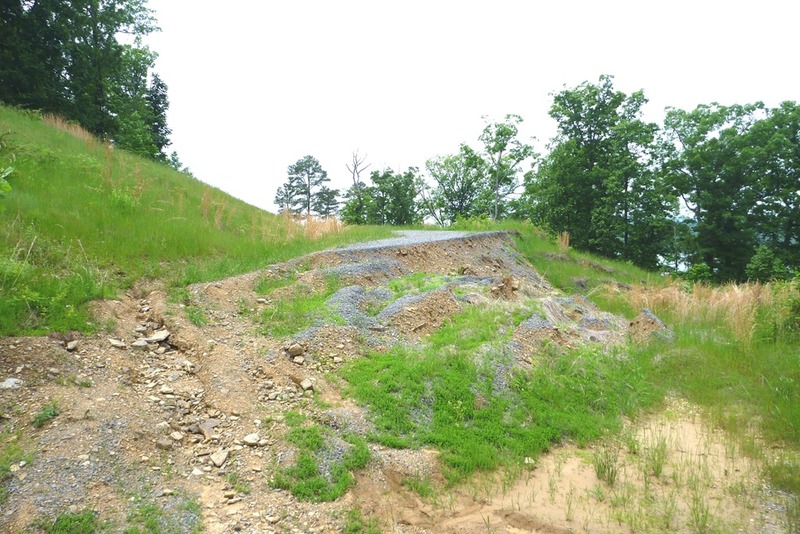 This entry was posted in #geoblog, GeoPic of the Week and tagged Arkansas, geohazards, Greers Ferry Lake, landslide, mass wasting on December 2, 2015 by argeology.